We match people to property. In our offices you will not only find friendly and professional consultants, but employees that have a vast understanding of the local market. Whilst it is widely accepted that around 90%* of people start their property search on the internet there is more to Estate Agency than placing a board in the garden, listing the property on the internet and displaying it in the office. In addition to an in-depth knowledge of each property and its surrounding area our service consultants will be proactive and eager to sell the benefits and features of each property. We have internet advertising covered! Over 90% of people start their property search on the internet. Whilst the internet does not sell property, because people do, websites are a vital tool in showcasing your property to potential purchasers. We advertise on the leading and most visited property portals including: Rightmove, Zoopla and Prime Location and many more. This allows potential purchasers to view details for your property and register their interest with us online 24 hours a day. Professionally designed floor plans are all part of our marketing package. By displaying floor plans more people will view your property’s full details online. It also means that people who then view your property are already aware of the layout and dimensions. Those who are really keen will have already measured for furniture! Our marketing package includes a professionally edited virtual tour which is used in conjunction with our floor plans and allows the browser to get a full feel of the property. 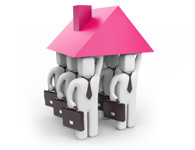 People who then arrange a viewing will already have a good understanding of the property.